Our demo contractors a Beaumont Demolition can help you remove a part or whole of a residence. The first step for a bathroom remodel, for example, is to demolish the room. However, the term "residential demolition" is mostly used in the context of blowing up or knocking down houses that have become uninhabitable due to disasters which have befallen them, such as severe storm damage or fire damage, or perhaps a house which has been vacant for years is deteriorating and the most cost-effective and logical solution is to demolish it. We at Beaumont Demolition provide residential demolition services for customers wanting a simple room remodeling and for entire houses. Needless to say, residential demolition is heavy-duty, dangerous work that requires fully licensed and insured contractors to perform it. We at Beaumont Demolition are your local demolition contractors and interior demolition contractors. Our demolition company is fully licensed and insured to carry out home demolition services. We are residential demolition contractors. 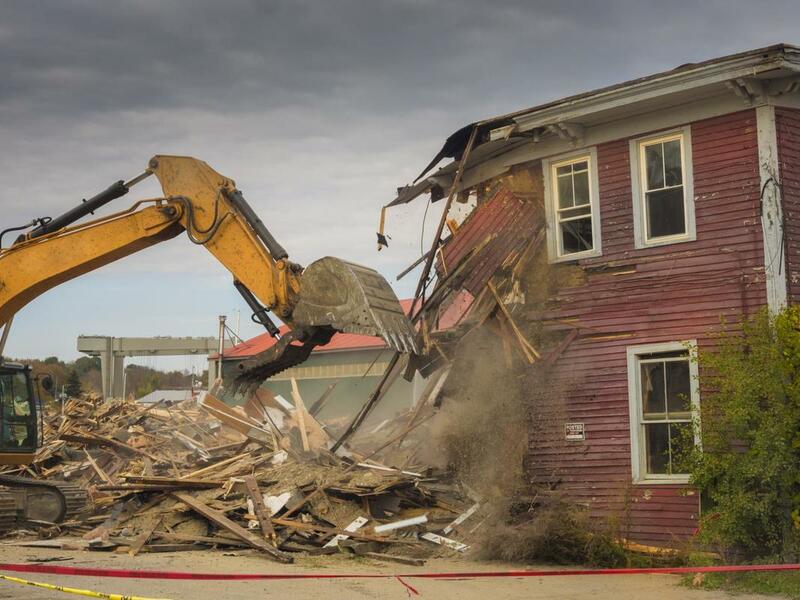 Several steps need to be followed for safe and legal demo contract work, including environmental inspection, utility locate and disconnect, obtaining a demolition permit, and, finally, residential demolition of the house, whether in part or in whole. It is important to follow these safety procedures and to only rely only qualified, licensed, and insured contractors to get the job done. The simplest application of residential demolition is in the context of being the first step in carrying out the remodeling of an individual room or two. Sometimes you want to completely redesign or upgrade a room, other times you are looking for asbestos removal and abatement or mold or lead paint removal services. Our demolition contractors at Beaumont Demolition do it all. Whether your residence has substances which need to be demolished because they have deteriorating impact on your health, or you need us to remove old kitchen or bathroom appliances to make way for renovation, your local demolition contracts are standing by to serve you. We at Beaumont Demolition are environmentally conscious. It is always of the utmost importance that residential demolition contractors are deeply familiar with the various materials they are working with in demolition. Specifically, contractors need to know precisely what to do with the debris left by the demolition in order to dispose of it properly, responsibly, and in an ecofriendly manner. The fact is that most materials these days can be salvaged or recycled, at least partially. Not only is it good for the environment, but saving on materials also can save you, the customer, a good chunk of change. We never take debris to the landfill if we can help it. We most frequently salvage flooring, windows, trim, doors, metal, wiring, and brick, plus whatever else is reusable. If you are looking to invest in a new home, sometimes a cost effective route is to buy a damaged or deteriorating home on a valuable lot and then demolition it to rebuild what you'd like in its place. We do residential demolitions of all sizes. However, the cost of residential demolition depends on a multitude of factors, including the house's location, size, the foundation type and whether that also is to be demolished, the materials used to build the home (for example, brick is costlier than wood), permit costs, and hazard and debris removal. As such, the range of costs show a wide disparity, with 1,5000 square feet houses costing between $6,000 to $22,500 depending on the various factors. Call our representatives today for a consultation on residential demolition.